It is learnt that both the legislators were to going stay with the sister of Sandhwan in Ottawa. CHANDIGARH: After the Canadian Immigration and border control authorities on Sunday refused entry to two AAP MLAs Kultar Singh Sandhwan and Amarjit Singh Sandoa. After reaching India, both MLAs claimed that the Canadian authorities denied entry in confusion whether their visit was personal or political. Both the legislators of the AAP from Punjab were sent back from the Ottawa airport after they were detained and questioned by immigration officials upon arrival at Ottawa Macdonald-Cartier International Airport. Later, they were put on Air Canada flight and sent back to Delhi and they landed today morning at IGI airport in Delhi, said sources. It is learnt that both legislators were to stay with the sister of Sandhwan in Ottawa and she was waiting to receive them at the airport but came to know that they have been detained and were sent back. Both Sandhwan and Sandhoa denied that they were detained at an airport and sent back by the Canadian authorities. Sandhwan said that he, along with Sandhoa reached the Ottawa airport yesterday afternoon and after getting clearance from immigration authority they were questioned by the officers of Canada Border services. He said that he was asked if the tour was personal or political visit as at the time of applying he termed it purely personal visit along with his family. He said that during the questioning, he said that the visit is personal but the party workers would invite them for talks he will be going there as well. Sandhwan said that the Canadian authorities them inquired about the programme of political activities but he replied that the same can be told as the meetings are not fixed yet. He said that the authorities then accused him of hiding the details and even after his repeated requests they did not allow them to leave. He said that the authorities asked them to furnish the details and apply the visa afresh then they will be allowed to go. He said then both the were returned back to India. Meanwhile, Sandoa said that he was just asked why did not he took his family along with him as per the details filled in the initial visa form and he politely replied that due to the ongoing schools of his children he was unable to take them along. He cleared that nothing related to any case was asked by Canadian authorities. Amarjit Singh Sandoa is facing a molestation case by his former landlady. A local court framed charges against him last week. The complaint was registered by the lady on July 29 last year. He was again in the news recently when he was allegedly attacked by the mining mafia, who have accused him of extortion. 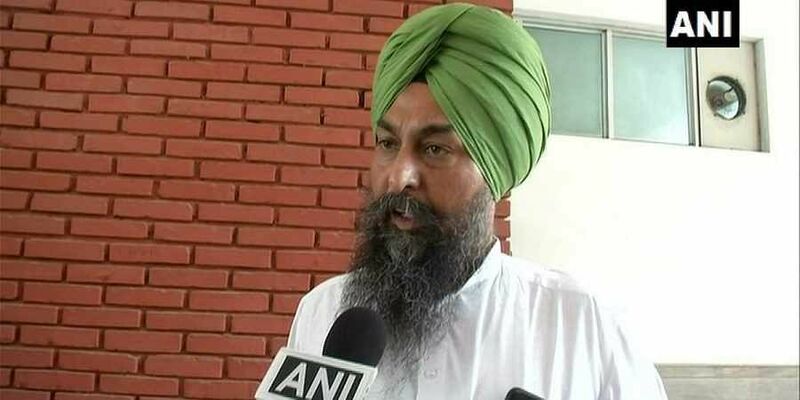 A former AAP member and dental surgeon based in Ludhiana Dr Amandeep Singh Bains had written to the Canadian authorities about the case registered on legislator Sandoa as he knew that both MALs were going to Canada. Bains in a Facebook post said, 'We reported about Amarjit Sandoya to Arvind Kejriwal with evidence, he did nothing. Then we reported to matter to Canadian Authorities. When documents against Sandoa were sent to Arvind Kejriwal by a member of the team, he did not take action against Sandoa. However when we sent a written letter to the Canadian Immigration they believed us and took actions immediately,'' he said. While in March Sandhwan had a spat with Faridkot additional deputy commissioner Keshav Hingonia as he alleged that Hingonia had not shown him due respect.